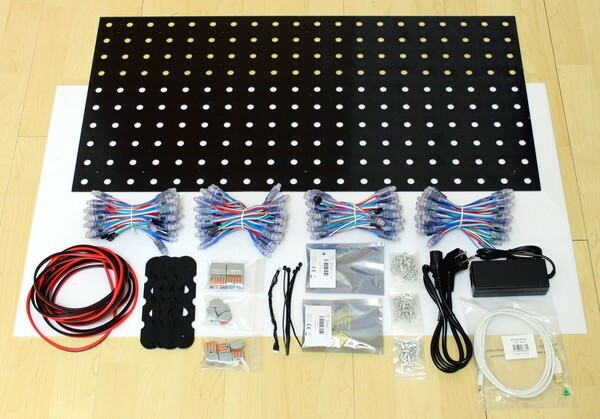 The basic kit comes with one Master Brick, one LED Strip Bricklet 2.0, four 50 LED Pixel sets, one LED power supply, four wall mounting plates, one perforated board, one front panel and all necessary cables and mounting materials. 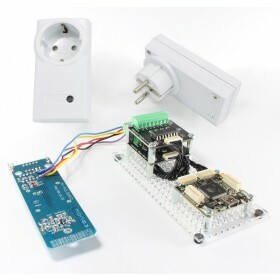 The basic kit can be controlled over USB by any (Embedded-) PC (e.g. 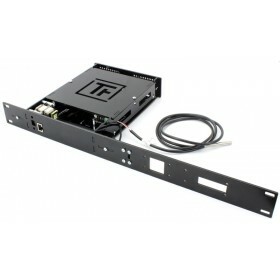 Raspberry Pi), laptop, server or tablet. 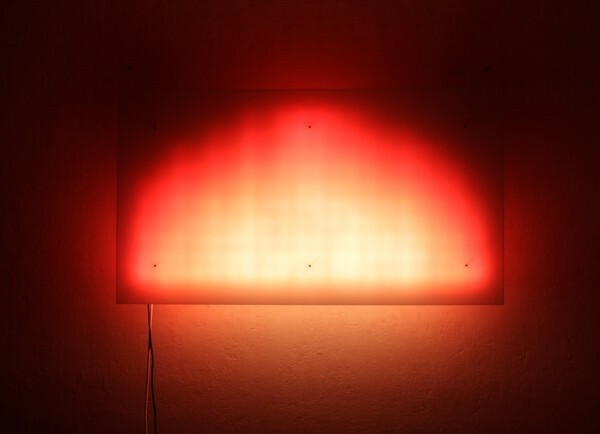 The following Add-ons can be used to extent the Starter Kit: Blinkenlights. 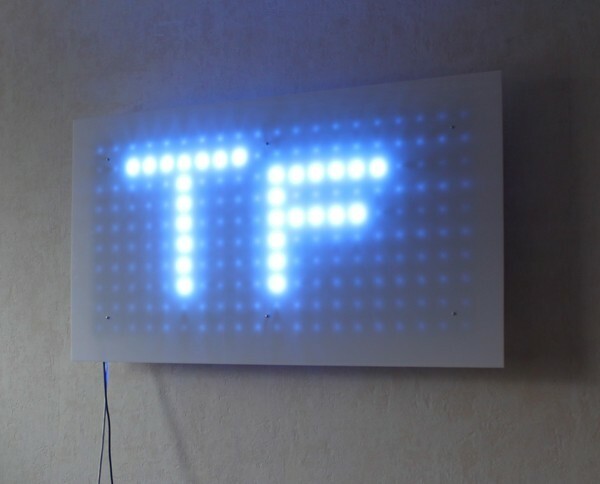 Note: To use two or more of the Bricklet Add-ons (Dual Button, Piezo Speaker, Segment Display 4x7 and Multi Touch) the Blinkenlights Master Add-on is required as well. 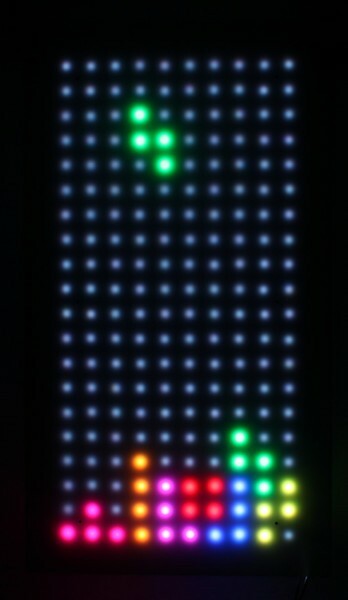 With this Add-on the Starter Kit: Blinkenlights can be extended with two Dual Button Bricklets, that can be used to play Pong. 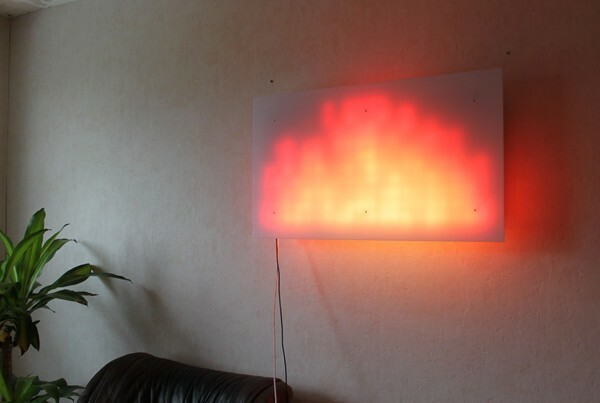 With this Add-on the Starter Kit: Blinkenlights can be extended with a Piezo Speaker Bricklets, that can be used to add sound effects. 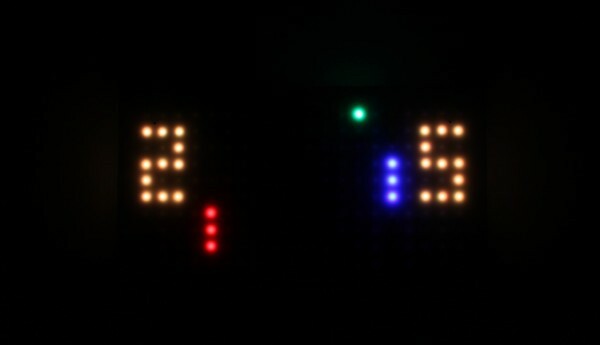 With this Add-on the Starter Kit: Blinkenlights can be extended with a Segment Display 4x7 Bricklets, that can be used to display high score and status values. 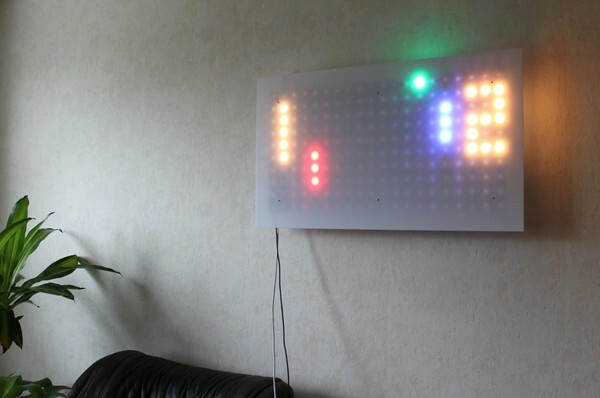 With this Add-on the Starter Kit: Blinkenlights can be extended with a Multi Touch Bricklet and a Giant Game Pad, to make playing games more fun. 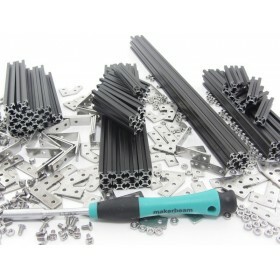 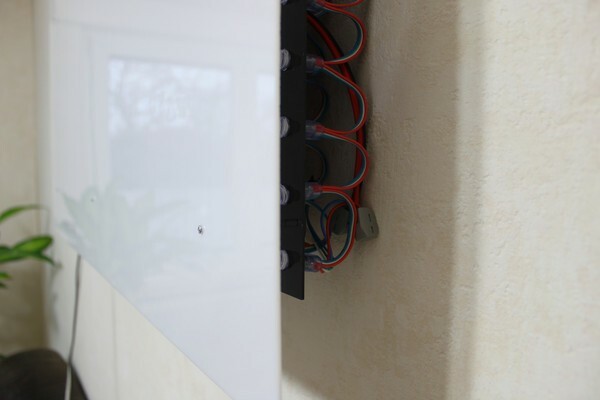 With this Add-on the Starter Kit: Blinkenlights can be extended with a Master Brick to support more Bricklets. 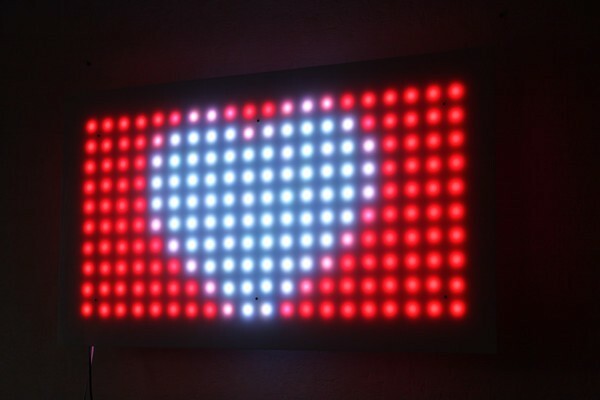 The LED Strip Bricklet requires extra RAM to drive the 200 RGB LED Pixels (see RAM constraints for details). 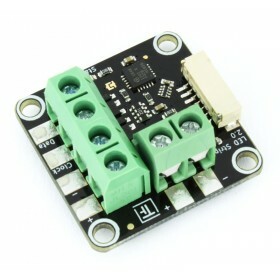 This means that there is only one useable Bricklet Port left on the Master Brick in the Starter Kit: Blinkenlights. 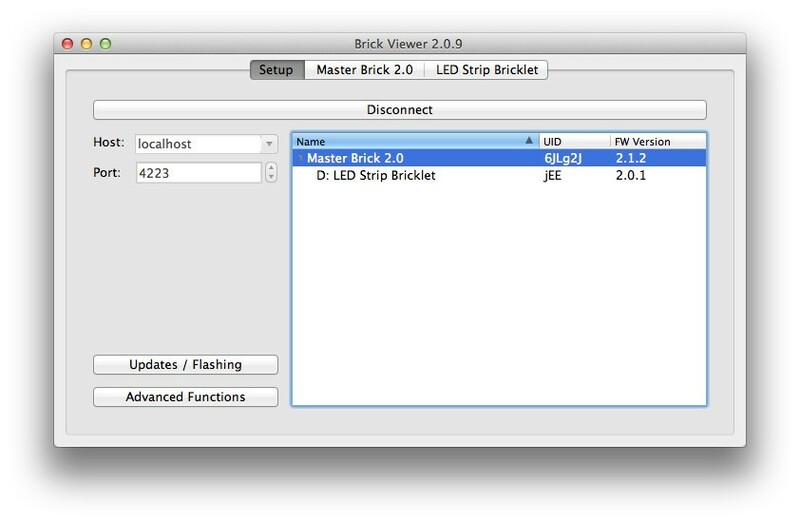 An additional Master Brick is required to use more than one of the other Blinkenlights Add-ons. 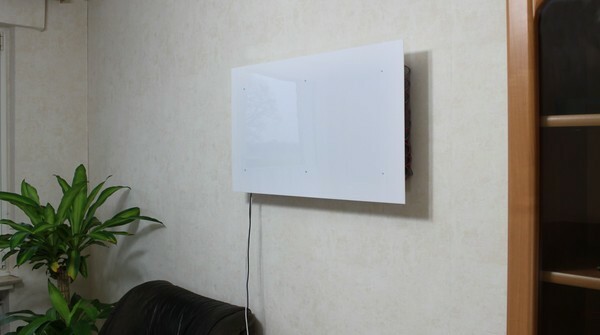 That's exactly what this Add-on provides.